Our poultry is grown on our farm and finished on all natural feed with no added growth stimulants or antibiotics. 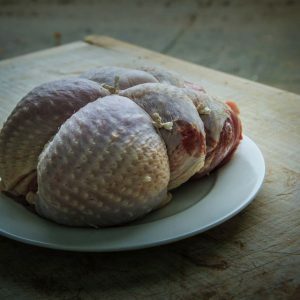 With our own modern processing facility on the farm, all of our poultry is processed according to Veterinary regulations. 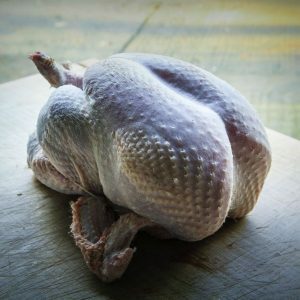 Minimally processed with no preservatives or artificial basting ingredients, Sladesdown Farm Poultry is oven ready with giblets included. 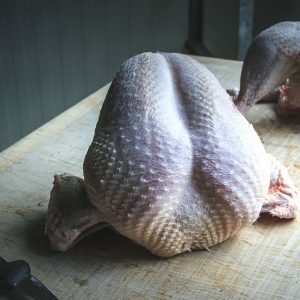 For unsurpassed natural tenderness and juiciness, try a premium Devon Turkey, Duck or Chicken from Sladesdown Meat. Please note we are not able to deliver turkeys locally for free at this time. Turkeys delivered by courier will carry on as normal though.